Understanding copyright law can be difficult even for experts, so when, as a new writer, you find yourself suddenly having to deal with it, it can be quite intimidating. Unfortunately, copyright is an issue regarding which you can't afford to relax and let your guard down. Whilst copyright regulations automatically cover everything you write (right down to your personal email), and the permissions you give when you sign a contract do not inevitably take away your status as the copyright holder, it's all too easy to sign away copyright by accident as a result of getting confused by legal language. There are times when it's appropriate to give up copyright but there are also an unfortunate number of cases where authors lose control over their works without intending to. Copying - Nobody may copy the work without permission, though copying portions of it for a review is normally considered fair use, as is copying by students of it. Issuing copies to the public - This means that your work can't be distributed by other people without your permission, even for free (as this could still result in you losing revenue). Lending to the public - You'll need to give the go-ahead before libraries can give people access to your work. Broadcasting - This ensures that your work isn't made available by way of being read out on television or the radio, or on websites like YouTube, unless you've said it's okay. Adapting or amending - No-one may alter your work without your permission. The right to be identified as the author of the work. The right not to have the work falsely attributed to someone else - this may sound identical to the above, but in practice it operates differently, meaning that you don't have to identify yourself to stop someone else passing off your work as theirs. The right to preserve the integrity of your work, preventing people from treating it in a manner which might damage your reputation. 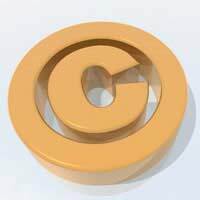 There are certain situations in which it is normal to give up copyright, such as when you are producing work for an employer in the ordinary course of a regular job, or when a particular piece of work has been commissioned on that basis. However, in most other circumstances, instead of giving up copyright you can give permissions for some of the activities normally restricted by copyright law to take place. It's important to realise that these permissions can be given separately and specifically, so you don't have to say yes to everything. Copyright and copyright permissions are most often given in relation to particular media - for example, print rights, broadcasting rights, or online publication rights. These can then be restricted by instance. For example, you might agree to give a publisher full print rights, which would mean that they then had control over all copyright matters relating to print media. Alternatively, you might give them first print rights, which would mean that, after they had published your work in print form, you, as the copyright holder, could go on to sell secondary print rights to someone else. Finally, copyright and copyright permissions are also limited by region. Unless you agree to transfer worldwide rights, you may continue to hold copyright in relation to publication in particular areas. Giving your publisher first UK print rights, for instance, would mean that you could sell first US print rights or first Australian print rights to somebody else. Since copyright law is central to who makes money and how, it's important to identify copyright as a commodity when you approach contracts. The more copyright you are asked to give up, the more you should charge. Think carefully about the potential worth of each form of copyright in respect of a particular work. In the case of short articles it isn't always a big deal, but when it comes to novels you stand to lose a lot of money if you get it wrong. For this reason, it may be worth hiring a literary lawyer to help you understand the process, or enlisting the ongoing help of a literary agent. Never let a publisher convince you that copyright is not a big deal.